Students will learn the eco printing on paper process. All materials and equipment are provided by the instructor and/or Art Salvage. 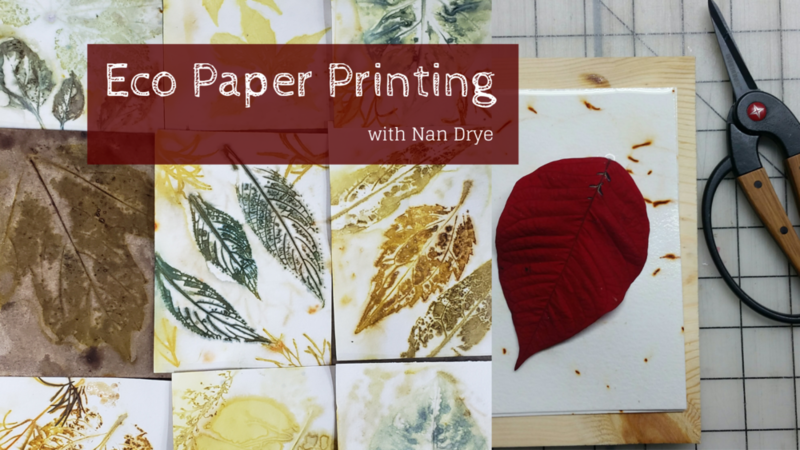 Students will learn the basics of applying 2 different mordants to the paper and then layer the papers with plant material for steaming. Then we will open up the paper to see our results. The paper is ready to go home that day and when completely dry is great for greeting cards, collage, or other paper crafts. Students should end up with about 20 sheets of paper measuring approximately 6" x 4". Students will receive a syllabus to take home so they can repeat the process. Feel free to bring a snack and drink for yourself. Ticket fees and class material included in class price. Class size is limited. Register early for early bird pricing. Pre-registration is required for Art Salvage classes; classes will be filled on a first-come, first-served basis. Students will be registered ONLY on receipt of payment. Enrollment requirements: 3 students minimum. Classes with low enrollment are cancelled 7 days before the class is scheduled to begin. Cancellation Policy: Art Salvage reserves the right to cancel, combine or reschedule classes to adjust for enrollment. If Art Salvage cancels a class, you may transfer to another class or receive a full refund. Refund Policy: Notice of withdrawal from a class must be made at least 7 days prior to the start of the class. No refunds will be given for withdrawals made after that time. No refunds or credits will be given for classes missed due to illness, personal conflict or other reasons. There are no exceptions to this policy.